And… I’m back. I’ve spent that last two months working on standardizing a local engineering firm. A good portion of this time was on Part Builder and I want to share with you what I’ve discovered that will hopefully help in your designs. 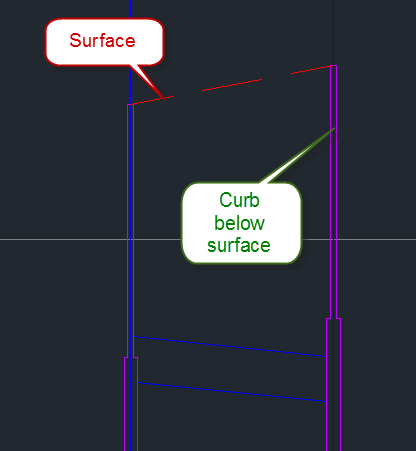 Curb Heads, hydrants and other parts that exist above grade cannot exist in the model of the part, at all. The irony here is that the part will work properly and function in Civil 3D in plan and 3d views. Once we go to profile view, we run into trouble. The part boundary will work as expected except that anything above grade is pushed down to the rim insertion point elevation. And there is no way around this that I or anyone in the discussion forums could find. So what’s the solution? 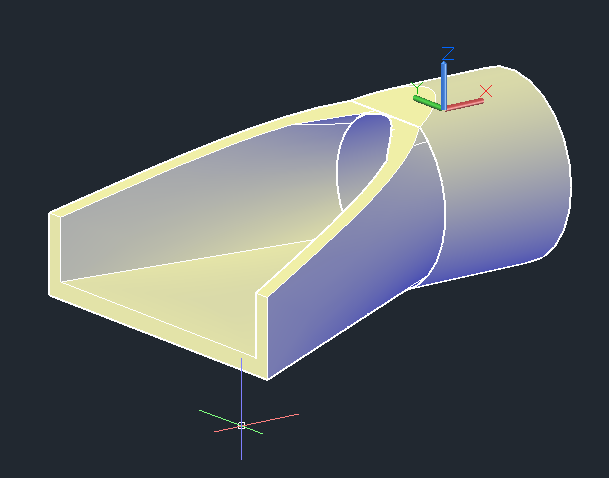 Take those model pieces of the part out of the model and use optional properties to identify the difference between an inlet with a vertical curb head or an inlet with a laid back curb head. Oddly, if we change the structure style to display the shape instead of the boundary, it works. Although the rotation of the structure is applied in profile and we have lost the pipe being trimmed by the structure. The pipe cleanup could be resolved by using the 3d hidden visual style. But that’s a lot of ifs and conditions to get the exact representation we want. We chose to go the easier way with the parameter. Optional properties do not like special characters like “ or / or < or > or even =. After several failed attempts, I finally vetted the problem down to the text value in an optional parameter I was using. This parameter was used to identify the depth class of the structure (i.e.- Height > 30’). Once I took those characters out of the parameters, the part would work. So how did I get them into the part? Well, I didn’t have to add the parameters directly to the part. 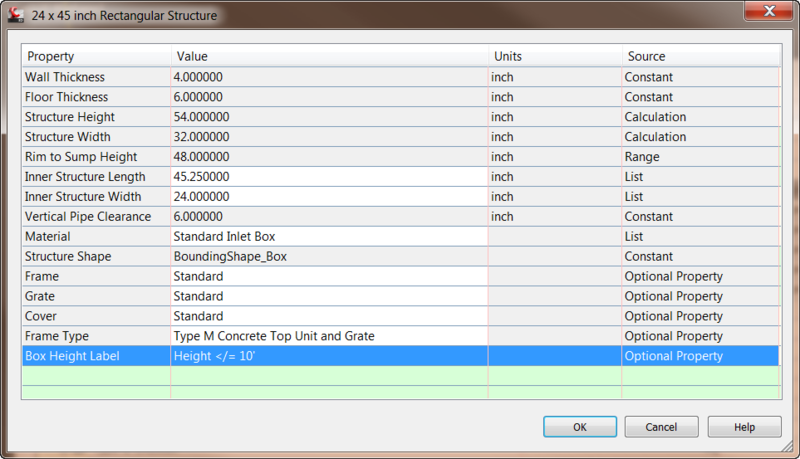 I could simply use them once the parts were added to the part list in Civil 3D. Even with those stumbling blocks, I did learn a few things and was reminded of other aspects to keep in mind when working with the Part Builder. First, always expect the process to take more time than you expect, just to be safe. Second, you will almost certainly be met with modeling limitations on the shape you desire. So you will either need to find a workaround or make some concession on the shape. See curb heads example above. Third, coordinated annotation that is not number driven will require creating custom or optional properties. There are several blog posts to use as reference to do this; here’s a post from David Neill over at civil3dpedia.com. See optional parameter experience above as well. Lastly, as much as it may sound like a good idea, only let one person work on customizing parts, properties or touch any files within the part catalog at a time. Part Builder will drive you insane working by yourself. Add in another person even though they’re doing something completely different on another part and the chaos will just multiply. Kevin joined Synergis in 2012 with over 20 years’ experience as a civil engineer. Most recently he worked for Kling Stubbins. Kevin has a lot of experience with Civil 3D, all the way up through the current release, having been a Senior Applications Engineer with another Autodesk reseller and part of the Autodesk beta program. In his time at Synergis he is using his expertise to provide training, technical support, and consulting services to Civil 3D, Map 3D, and Revit Structure customers. Kevin is an Autodesk Certified Instructor.